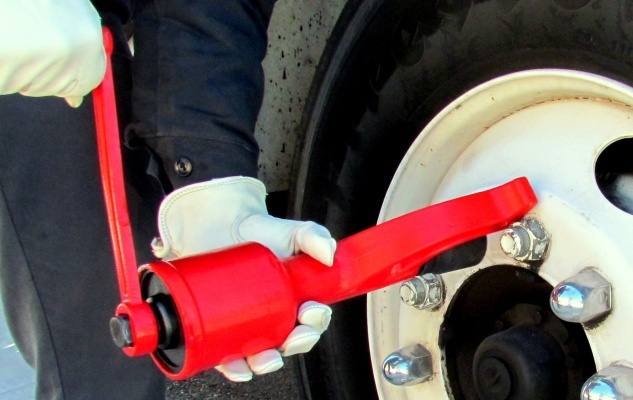 Easily loosen and remove lug nuts from nearly any heavy duty vehicle, including semi-trucks, RV’s and more! The Cheater Wrench ships via USPS 2 Day Priority Mail. Our new design includes a retaining ball on the output shaft to ensure your socket stays securely on the Cheater Wrench. Included are four free 1″ drive deep impact sockets (41mm, 38mm, 33mm, SQ 21mm) and socket extension. The powerful 1:65 gear ratio is heavy duty enough for any job. 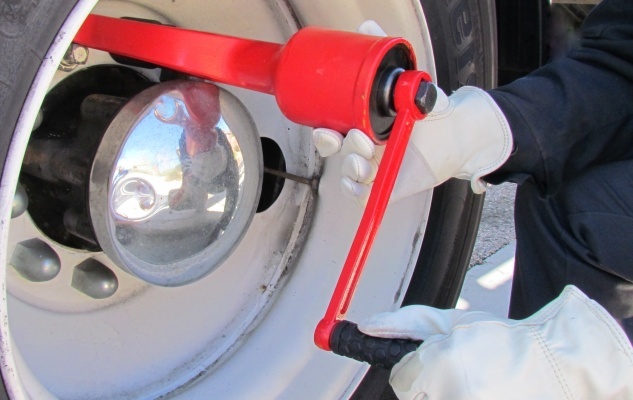 We guarantee the Cheater Wrench will never break while trying to remove a lug nut. We’re so confident in its durability that we will give you a full lifetime tool warranty. If it ever breaks, just put it and all the components back in the case, send it back to us and we’ll replace it for you. Remember that the Cheater Wrench is designed to be turned by hand. Do not attach an impact gun to the input shaft or this will void the warranty. This warranty is non-transferable. 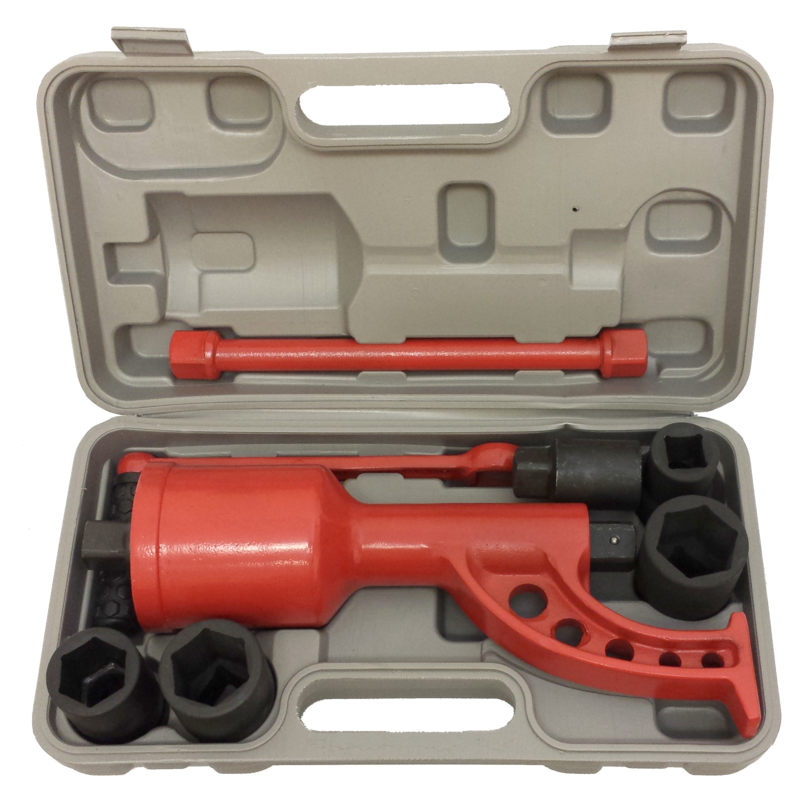 The Cheater Wrench includes four 1″ drive deep impact sockets (41mm, 38mm, 33mm, SQ 21mm). We also have several other sizes available for purchase. We carry many different sizes from 17mm all the way up to 60mm. We also have two socket adapters. 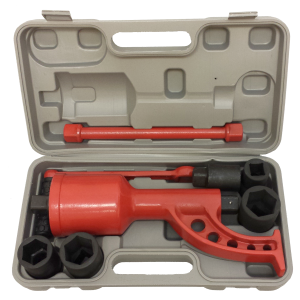 One allows you to use the Cheater Wrench with smaller vehicles and the other allows quick removal of loosened lug nuts. 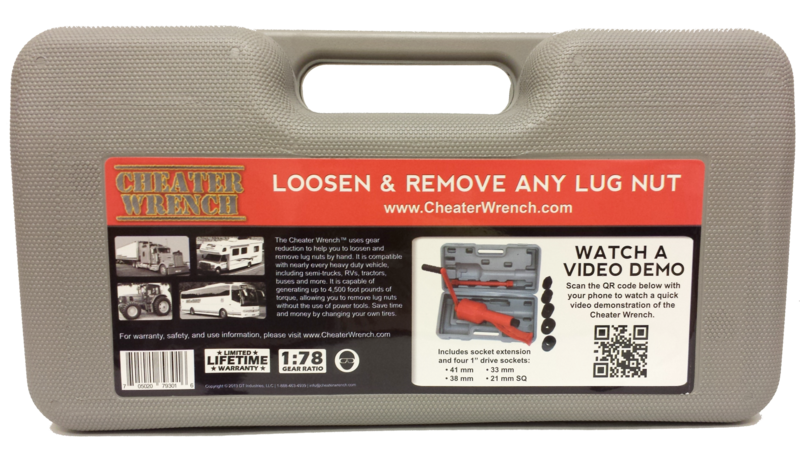 The Cheater Wrench can be used to loosen lug nuts as well as put them back on. 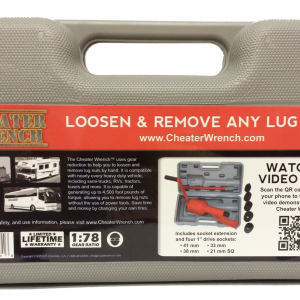 Below are two video demonstrations of how to use the Cheater Wrench for both of these functions.